Photo is courtesy of Xinhua/Yang Shiyao. [SatNews] Some speculate the series could be part of a constellation of early warning satellites, with infrared sensors. A Long March-2C carrier rocket carrying the Shijian-11-07 experimental satellite launches into the sky at the Jiuquan Satellite Launch Center in Jiuquan, northwest China's Gansu Province, on September 28, 2014. 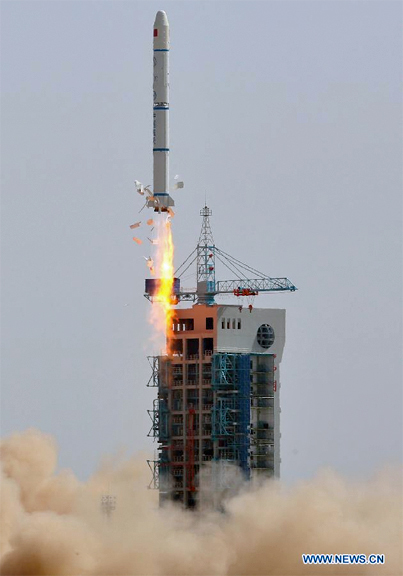 The first Shijian-11 satellite was launched on November 12, 2009 by the Long March-2C from the Jiuquan Satellite Launch Center. 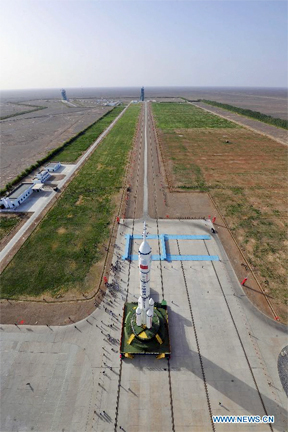 Jiuquan Satellite Launch Center, China. The satellite, which was developed by China Spacesat Co. Ltd under the China Aerospace Science and Technology Corporation, will be used to conduct scientific experiments in space. This was the 194th flight of the Long March rocket series. Shijian’ means ‘Practice’ and this series of satellites have been used in a variety of configurations and missions for scientific research and technological experiments.